Labour contracts weigh greater than other contracts in terms of the value of work both in quality and quantity. 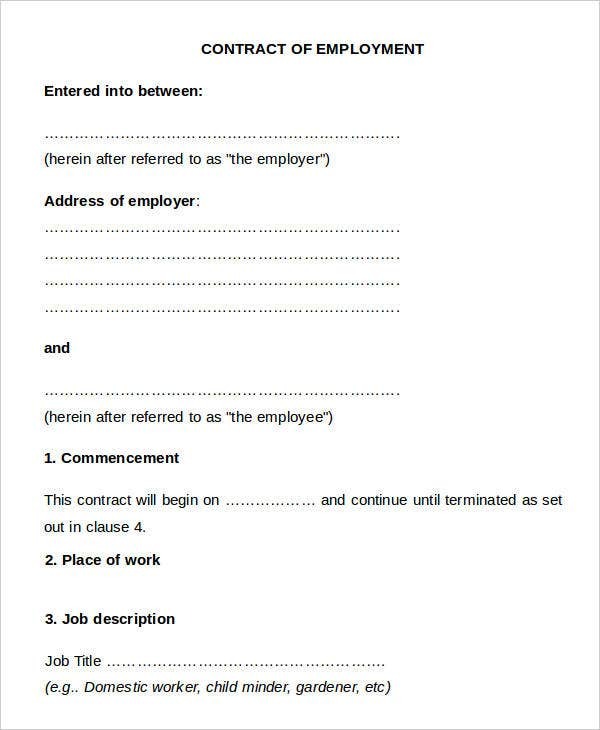 Labour contract templates could be the perfect aid to formulate detailed and well-written actual labour contracts. Service and labour are often broadly delivered and it is only essential that contracts define the scope of work. Despite a certain length with details and agreements, a separate Consulting Contract could work hand in hand with a labour contract to polish everything right into place. 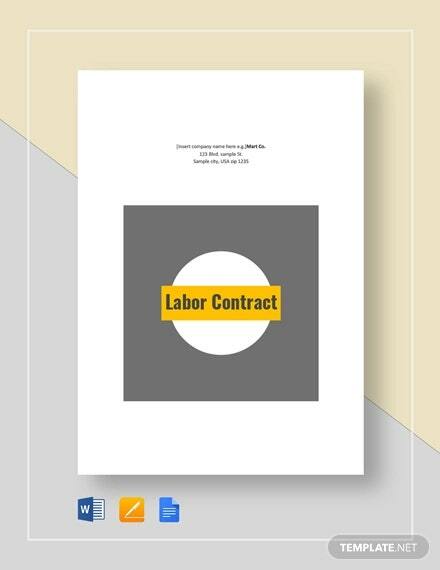 Get your contracts done with this set of printable labour contract templates all set in outline, format, and content. A labour contract is an important document that could prove certain working agreements that need to be done in exchange for compensation. There should be no trace of significant detail left to generate a comprehensive kind of contract. 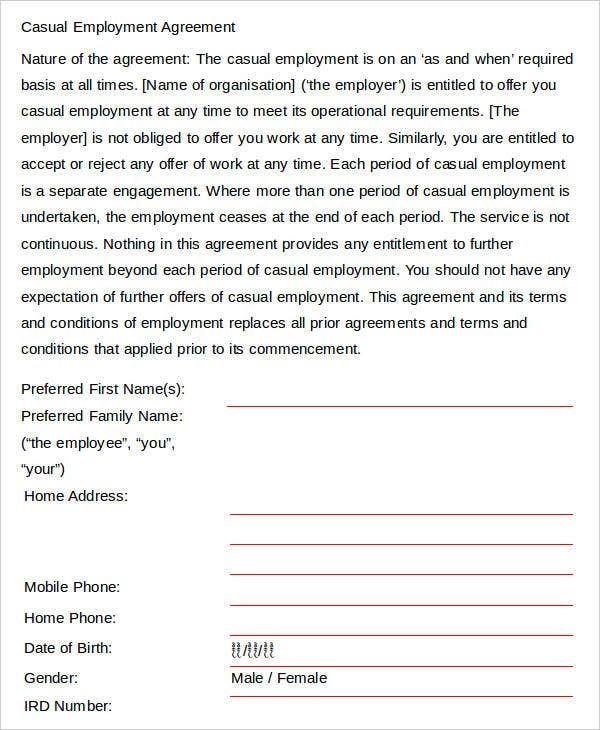 Type of agreement – Sort out what type of agreement could be best for the kind of labour you wish to avail of. Types of agreement range within but not limited to the duration and the scope of work. 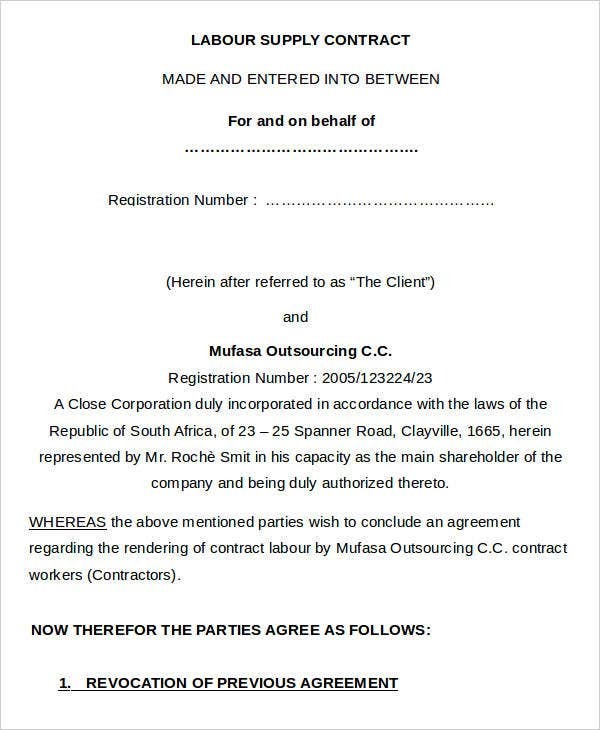 Contract parties – You could refer to individual people or companies as a whole to form part of a certain party in the contract. 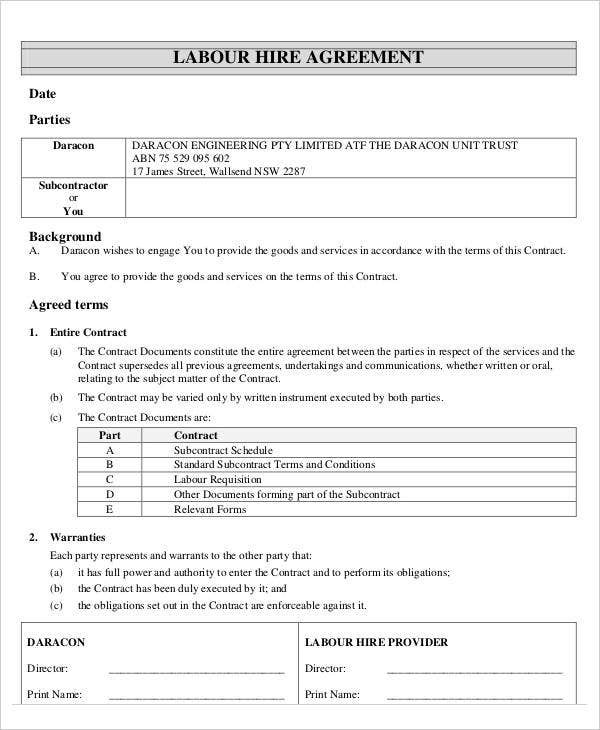 The Contract Templates found on this page are always observed to provide space for identification of contracting parties. 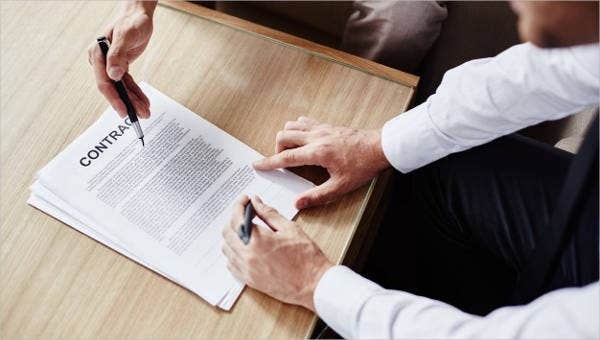 Labour terms and conditions – Enumerate the purpose of the contract such as those relating to hours of work as well as the expected quality of work. 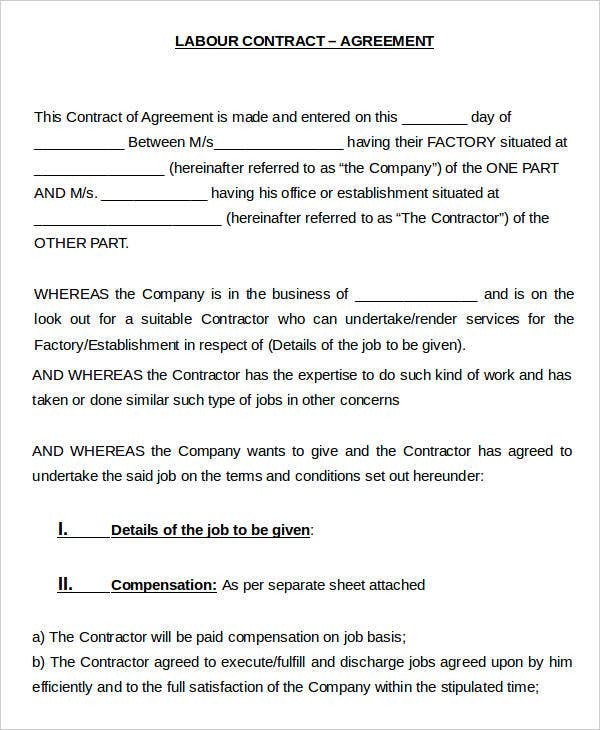 Labour terms and conditions also apply to the structure of Maintenance Contract Templates that focuses on the company that renders maintenance services. Project background of contract. It provides an overview as to why such stipulations are included in the contract. 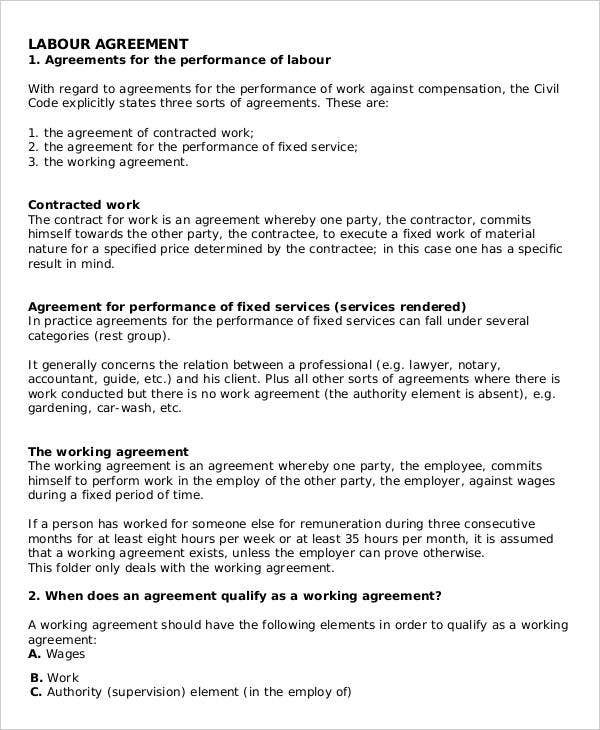 Labour performance agreement. Contracts are formulated in order to indirectly ensure there is quality in the work done. Wages. The mode of payment for wages should be elaborated. Wages could be released depending on the agreed terms of contracting parties. Project Supervision. The contracting party that asked for a particular type of labor is expected to include conditions that pertain to project supervision. It is to inspect on the gradual progress of the project towards completion. Construction services are commonly subject matters in labour contract agreements. If you opt to write one sooner, check out this quick guide on how to write construction contracts. Provide the type of construction service. Construction could mean labor as whole or labor in smaller services. At the earliest part of the agreement, specify the type of construction service in your contract. Provide the details of the construction project. A certain construction project like a building needs specific details for easier identification that should directly be implied in the contract. Working agreement. Include wages and other construction benefits in your contract agreement. There might be other services rendered that might need separate Plumbing Contract Templates that could comply with other legal documents.